When is Corrective Jaw Surgery Necessary? The skeleton of the human body, including the jaws and associated maxillofacial structures, may develop deformities as the result of congenital or developmental conditions, disturbances of growth centers due to trauma or tumors, or from improper healing of fractures. Such deformities as maxillary protrusion (prominent front teeth), mandibular prognathia (underbite), mandibular retrognathia (overbite), apertognathia (anterior open bite) and laterognathia (asymmetrical jaw development) are common examples of maxillofacial skeletal disproportion which are frequently associated with severe dental malocclusion. These conditions, which are collectively called Dentofacial Deformities, are similar in development to other congenital abnormalities such as cleft lip and palate or clubfoot. Dental malocclusion or bad bite is a common dental condition in our society. A significant number of people with a bad bite also have disproportionate development of the facial skeleton, especially the upper and lower jaws, the maxilla and mandible. Dentofacial deformities create significant problems for affected patients, such as difficulty with chewing food, swallowing, speech and developmental of muscle spasms. Temporomandibular (TMJ) joint disorders caused by abnormal forces created by the altered dental bite can occur. Abnormal excessive wear of the teeth as well as difficulty in maintaining proper hygiene with misaligned teeth can also occur. For more information about Orthognathic (Jaw) Surgery or to schedule a consultation with Dr. Swiderski, call our office in Salem, OR at Oral Surgery Office in Salem Phone Number 503-581-0223. Orthodontists treat dental malocclusion by moving teeth or guiding their erupting within the alveolar (tooth-bearing) bone of the jaws. However, they cannot control skeletal growth of the jaws or other facial bones to any significant degree or reposition bone once it has developed. Call Oral Surgery Office in Salem Phone Number 503-581-0223 for your consultation. Dentofacial deformities are corrected surgically by a variety of operations which produce predictable, excellent functional and aesthetic results. Such operations, termed Orthognathic (straight jaw) Surgery, have been developed to surgically reposition the upper jaw, lower jaw, middle face structure, and chin into normal anatomic alignment. Bone grafts or dental implants may be used to bridge gaps in the bones or to fill out facial contour. Most of the operations can be done through incisions made in the mouth leaving no external scars. 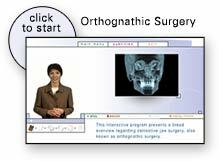 Orthognathic surgery, like other major operations, are done in the operating room with the patient asleep under general anesthesia. The jaws may or may not be wired together for several weeks to immobilize the bones for normal healing. The patient eats a liquid or pureed diet during this period to maintain nourishment and weight. The surgeon and the orthodontist frequently work together to obtain the maximum possible aesthetic functional and occlusal results. Much of the orthodontic treatment can be accomplished during the years of growth (until about 14 to 15 years in females and up to 18 to 20 in males) to properly align teeth within each dental arch so that a stable occlusion is present after the jaws are repositioned by surgery. Surgery is generally done after cessation of skeletal growth to minimize or prevent relapse tendency which can develop if growth continues. Orthodontic and surgical correction is also frequently done for adults. Some surgical procedures have been especially designed for moving alveolar bone and tooth fragments in the dental arches of adults where conventional orthodontic movements would be much more difficult or prolonged than in the growing child. How Much Does Corrective Jaw Surgery Cost? Orthognathic surgery is not inexpensive. The fees charged for the surgery are a reflection of your surgeons training and expertise, long hours required in analyzing each patients condition and planning the appropriate operations, the complexity and length of the operations and the post-operative care and follow-up provided for each patient. However, correction of dentofacial deformities may be covered by major medical insurance, especially when done primarily for functional reasons. Although correction of a dentofacial deformity often improves facial aesthetics, the primary purpose for such operations is to realign the affected facial bones for improved function. If you are a candidate for orthognathic surgery, Dr. Swiderski will work closely with your dentist and orthodontist during your treatment. Call ☎ Oral Surgery Office in Salem Phone Number 503-581-0223 to schedule an appointment.